Nikolai Pertsov White Sea Biological Station, Northern Russia opens registration for the Field speciality workshop in bentic habitat mapping on the White Sea. - Dr. Artem Isachenko, invertebrate zoologist, benthic ecologist, LMSU, Russia. - implementation of complex data interpretation methodology for underwater habitat mapping. Normally academic day would be 7–10 hours with lunch and tea breaks. This would include daily field excursions of variable duration (1–4 hours of walk or/and boat trips); lectures; guided work with collected animals and individual independent work. White Sea Biological Station (WSBS MSU) is a subdivision of Biology Department of Lomonosov Moscow State University. 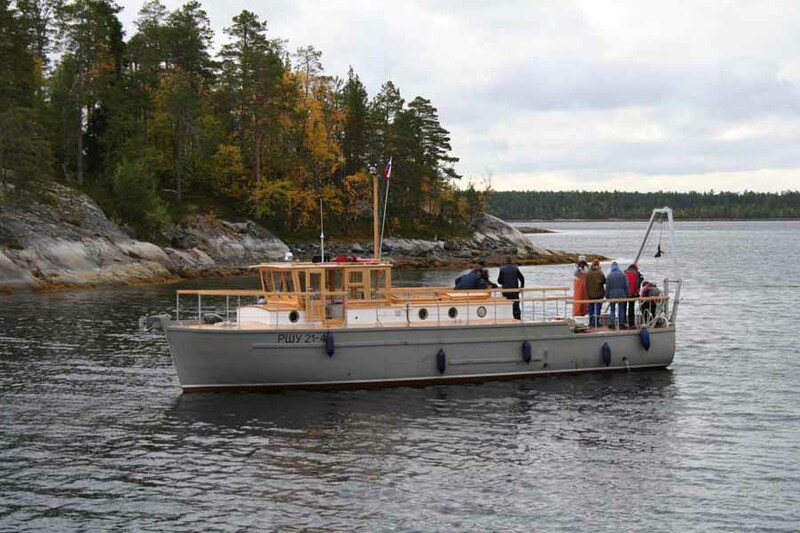 This station is an educational and research centre, created for conducting marine scientific research and field student practices on Marine Biology, Oceanography and Geology at the White Sea. Unique wildlife and environment of Russian Arctics has great potential for scientific research and allows lifetime experience for students. Modern equipment allows to conduct comprehensive scientific research. WSBS has its own fleet, marine laboratories, geophysical exploration equipment. Our specialists have access to satellites data. Annual experimental observation of shoreline and open sea test areas allowed organizers to develop a high-quality training and choice of cases for workshop study. 2. Field practical course aims on mastering of students skills via marine test field complex research. 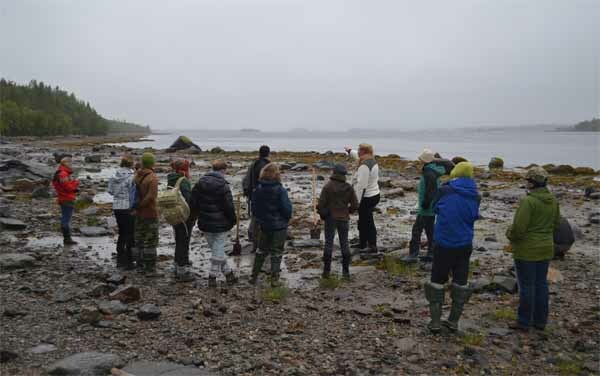 This part of workshop will also include guided excursions to main coastal habitats of White Sea. 4. During final complex data interpretation students will get familiar with data overlaying concept via building of digital GIS database. 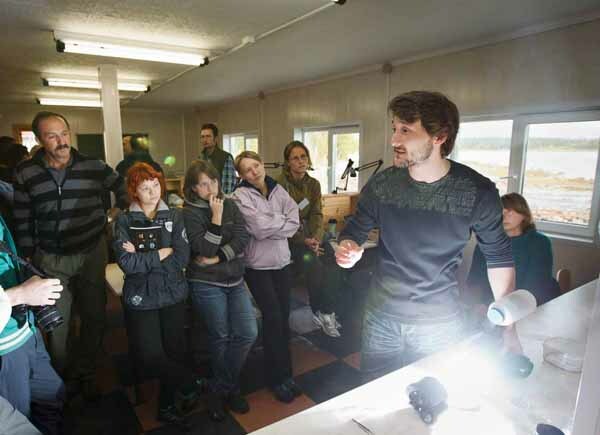 Results of workshop will be formulated as student report and will be published in White Sea Biological Station journal. 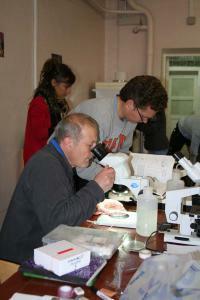 The course is for students who have already taken a university course in general zoology or zoology of invertebrates. Skills of practical work with a microscope are an advantage. 400 EUR will include 12 days of instruction, boat trips and pedestrian guided trips & housing. The organizing committee may supply limited number of grants. Check the grant details with contact person. - Hot meals provided three times a day + hot tea on request; at ~400 RUR per day. Unfortunately, special meals, like Halal or Kashrut, or dietary meals like diabetic, low-cholesterol or gluten-free, etc. cannot be provided due to limited capacity. What is provided is a standard Russian cuisine. However, vegetarian meals could be provided on request (to be discussed ahead). - Train tickets ~7500 to ~10000 RUR (from/to Moscow) depending on train class; additionally local taxi starting at 600 RUR per person might be required depending on route selected. - Optional boat excursions (sightseeing, trained while whales, etc.) at ~1000 RUR per person available Limited selection of foodstuff and essentials might be delivered to the Biostation on request twice per week.